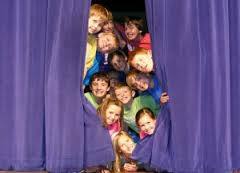 SPOTLIGHT JUNIOR for our youngest actors; 4 - 6 years. This "first step" musical theatre class introduces students to acting, singing, dance and improvisation. Everyone is welcome and encouraged to join the FUN. No experience necessary!